The Actron CP9690 uses three main languages (English, Spanish, French). The scanner can work with vehicles made between 1996 and 2013 like GM, Ford, Chrysler, Nissan, Hyundai, Toyota. Furthermore, the CP9690 also supports OBD1 and CAN protocols. The scanner can work with vehicles made between 1996 and 2013 like GM, Ford, Chrysler, Nissan, Hyundai, Toyota. 3 Who is it Built For? The first impression of the CP9690 is its nice interface. Generally, the vehicle performance and diagnosis data it generates is easy to understand and actionable. Users can even record, playback and graph live engine data. The Actron CP9690 OBD2 offers lots of versatility to vehicle owners. For instance, the scanner can help diagnose issues facing a selection of vehicles made from 1984 to 1995. Also, unlike many scanners, this version also supports vehicles made in 2013. The support for OBD2, OBD1, and CAN protocols is also a huge plus. The Actron CP9690 has plenty of features. That makes the device’s user-friendliness quite commendable since both beginners and pros can use this device. Additionally, its compact size makes it easy to carry around. The vehicle performance and diagnosis data it generates is easy to understand and actionable. The Actron CP9690 allows car owners to get trilingual support. Additionally, support for ABS and SRS Airbags is available for most cars made from 1996 to 2013. The CP9690 can also work with many newer and imported domestic vehicles using OBD2 and CAN protocols. Other features include the capacity to record, playback, and even made graphical representations of live engine data. Physically, the scanner has nine buttons and a color screen that displays engine information. The device is easy to use, thanks to the intuitive user interface it offers its users. Recording, playing back, and viewing graphs of live engine data is also very easy with this device. The device is easy to use, thanks to the intuitive user interface it offers its users. There is an optional battery backup feature for the scanner when off the vehicle. Without a connection to the vehicle, the battery kicks in. Also, you can update the device via a USB port. Like many other scanners, priority is given to American cars. Therefore, users who need to use this scanner on their foreign cars might run into some compatibility problems. Fortunately, such issues are in the minority. The Actron Cp9690 OBD2 functions quite impressively. However, users have to understand all the information the device displays to truly benefit from what it has to offer. Beginners will find using The Actron CP9690 a delight, thanks to its simple user interface and an intuitive display. Compatible with several models of vehicles. The website is rather confusing. 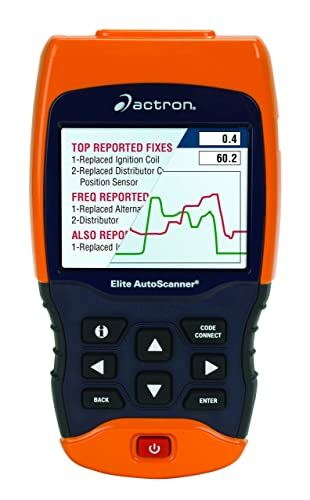 Bottom Line Actron CP9690 scanner is definitely one to consider if you want a tool that can diagnose the engine, ABS, and SRS. Innova 3120 perfectly suits average car owners, beginners, and DIYers. Innova 3150f is excellent for experienced DIYers or enthusiasts who prefer Bluetooth Connections. Car enthusiasts who still cling to car models from the 80s and the early nineties will find it quite useful. It supports the OBD1 protocols these cars use. Even so, beginners will find using The Actron CP9690 a delight, thanks to its simple user interface and an intuitive display. Additionally, professional mechanics will love how accurate this scanner is at diagnosing engine problems. The Actron CP9690 is a professional-grade scanner. It is hardly surprising that few OBD2 scanners can live up to the performance of The Actron CP9690. The CP9690 can be used on specific car models that most other scanners do not support. Some of the other key features include the ample color screen, the ability to graph live engine data and send the data it records to your computer. So yes, The Actron CP9690 OBD2 Scanner is worth every penny. 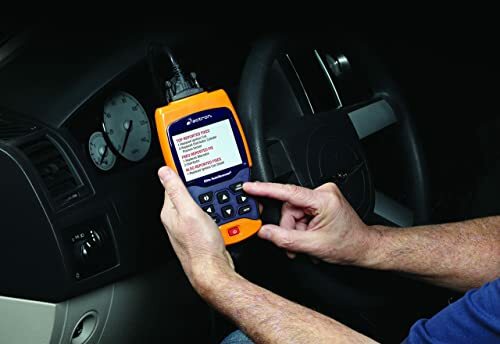 If you are any car owner or DIYers, the TryAce SR950 scanner can help you cut the cost of repairs significantly. But what it can do? Check out now! The KARFANS K120 OBD2 scan tool is a new entrant to the world of OBD scanners. It comes packed in a carrying case that doubles up as a storage facility. In this review, you will find 5 best OBD1 Scanners in the market 2018 including 2 dedicated OBD1 Scanners and 3 OBD1&2 Scanners. Foxwell NT520 vs Foxwell NT510, which one will serve you better? These two OBD scanners have a lot in common and yet they have significant differences. Autel Maxidiag MD808 Pro, made for professional and DIY mechanics, offers a number of advanced functionalities with many basic functions.